First of all, high-quality audio is a must for any great videography. Audio which synchronises perfectly with the visuals and pro sound effects make the difference between a big impact and and a flop. In addition, sound effects of course, play a huge part in this process and it is crucial that they are properly placed. As a result, FCP Audio provides customisable sound plugins for FCPX. They also offer tutorials and information about how to use these sound effects to your advantage. Above all you’ll be able to create content that is both professional and impressive. First of all, there is no point in using sound effects that do not gel with your project. It is, therefore, important to have the correct guidance when choosing sound effects that enhance the vision of your project and immerse the audience into the story you are telling. Whether you are creating a corporate video or something more commercial, building suspense around your project and leaving the audience guessing is a great tactic when it comes to advertising your brand. Furthermore, you want to build the hype, and by using artistic sound effects to create an element of suspense, you can fuel your audience’s speculation about what your brand is all about. Above all, sound effects can be seen as the ultimate storyteller. They create an atmosphere for your video and enable an immersive relationship between your brand and your audience. They can also provide crucial information about what is going on in your video, and therefore make sure the message you are sending out is the right one! It may be an obvious point to make but is important that the sound effects you chose actually sound like the real thing! Be the experts when it comes to realism. Another point, is to make sure the audio you are provided with reflects the natural environment you are in. Similarly, authenticity is key for building a connection with your audience. Your brain will automatically connect the sound with visuals if executed correctly. So do not settle for less than the absolute best! If you are searching for plugins for FCPX for audio that is both royalty free and customisable, then you have come to the right place. FCP Audio is home of the ‘SoundStack’ and is the world’s leading provider of audio for Final Cut Pro. Also, our in-house team of music industry professionals are constantly creating and writing new audio tracks to add to the already exciting ‘SoundStack’ library. What’s more, once installed, our ‘SoundStacks’ are available to use immediately. Users can edit the length and add their own flavour to make their chosen audio completely unique to their project. What more can you tell me about FCP Audio? Above all, you are also safe to use our music forever as every track comes with a licence that gives you permission to do so. Therefore, take advantage of FCP Audio’s services today for top quality and inexpensive modifiable Final Cut Pro Audio. 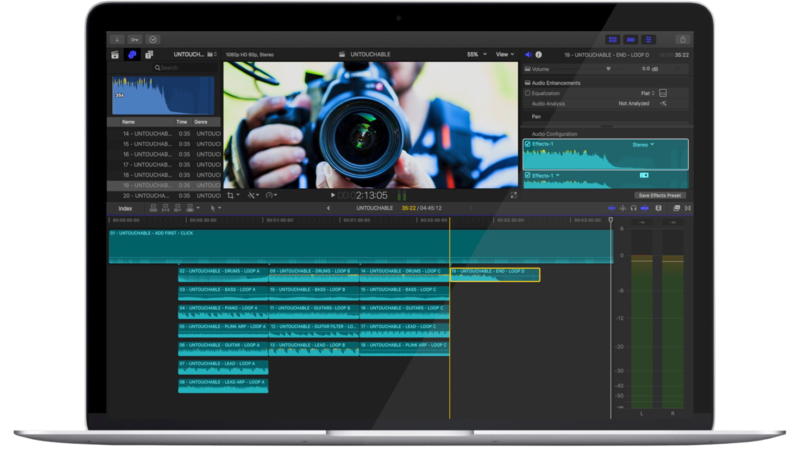 Finally, For a UK based audio provider that is authentic, professional and trustworthy – start with FCPX plugins by FCP Audio. We are a global provider of customisable audio with an extensive library of sound effects and audio tracks to accompany any new video project. Rather than wasting your time for low quality alternatives, check out our website today for more information. Want to try some sound FX for free? No problem we have you covered visit our FREE SOUND FX PAGE to download now!